With the summer coming to a close (the start of college football season = the end of summer in Beerford’s world), it’s time to get the ol’ conundrum up off the couch, get him showered off, and put him back to work. And what better way to celebrate the end of summer (other than watching college football) than to review our favorite summer seasonals? There isn’t any particular specific category encompassing summer seasonals, but in my experience they tend to generally be light (not ‘lite’) ales with an acidic or drying finish and often a slightly citrusy hop presence. Of course at least half the summer beers out there are nowhere near my description, which is part of what makes this conundrum fun. And so, to welcome you all back to Beerford’s Conundra, I’m asking the Aleheads to tell us what was your favorite summer seasonal from 2011? Extra credit can be earned by also telling us about your least favorite (or just weirdest) summer seasonal. So, Beerford, your ode to the return of school is bastardizing a Keats poem? At least it’s a poem about fall. Although, that does raise the question of why you’ve waited until fall to question us about our favorite summer beers. Will this be helpful to our readers? Probably not. Are you just catching up because you’ve been too lazy to post about anything coherent all summer? * Almost certainly. *Beerford’s Note: Commander’s summer posts: one in June, one in July. Beerford’s summer posts: four in June, five in July, 2.5 in August. We can argue coherency offline. I’m glad I’m the first one to tackle this, because I know some of the other Aleheads and I are collectively enamored of Alesmith’s YuleSmith (Summer). In winter, YuleSmith is a chubby, sweet matron of a beer clad in red and green. In summer, it’s a lithe, hoppy youngster in a red and blue bikini. You probably take my point. Fortunately, I didn’t use YuleSmith’s borderline-irritating name as an excuse not to buy it. It is, hands-down, one of the best Double IPA’s out there. It is a classic big beer. It has enough of a malty backbone to balance out the hoppiness, though I’m not sure I’d call it “balanced” per se. It may even be a DIPA that suits everyone’s fancy: grapefruit, pear, tropical fruits, you name it. One caveat–I wouldn’t buy this beer after October 1. Most of it is bottled in the Spring and early Summer. It does not keep well… sort of like Beerford when he plays drinking games. Right out of the gate and Beerford hits us with a Conundrum I can’t answer. Truth be told, I don’t drink summer seasonals. Summers in Alabama are not things to be cherished and enjoyed. They are things to be “survived”. Sometime in June, the heat descends upon you like a heavy, wool quilt that can’t be removed. There are moments…blessed moments…where it seems that quilt might be lifting…and then it engulfs you again. Finally, in late September, the quilt begins to dissolve and you awaken from your sun-drenched daze…sweaty, stinky, and gasping for air. It’s safe to say that I enjoyed summers more in the days of my New England youth. Beyond that, I don’t particularly care for what Doc once called the “Ubiquitous Summer Seasonal”. Light-bodied, effervescent, usually lemon-flavored…summer seasonals are the puckish sprites of the beer world. I do not like them. As the Commander noted, not ALL summer seasonals need fall into that trap (the Summer YuleSmith is a dandy), but the exceptions to the rule are unfortunately few and far between. So for this Conundrum, the Commander and I will reverse our usual roles. While he accurately addresses Beerford’s query, I’ll be the one ignoring the rules. Instead, I’ll throw out a beer that became a staple in the McHops Monastery early this summer and will probably lose its prominence as the sweltering ‘Bama sun finally lets up: Anderson Valley’s Hop Ottin’ IPA. The Hop Ottin’ is NOT a summer seasonal. 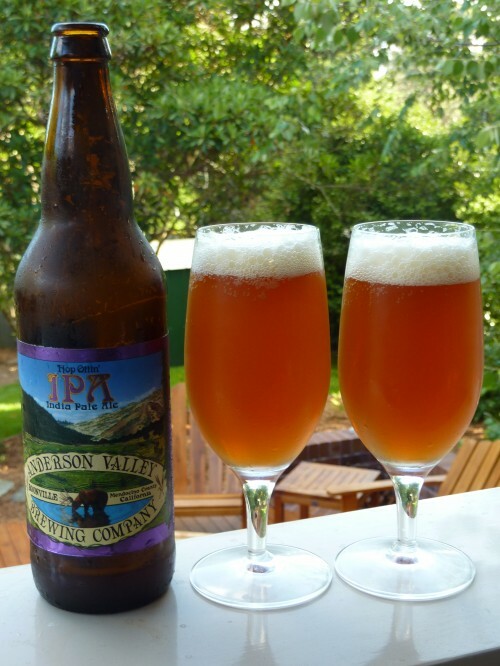 It’s a year-round beauty from Anderson Valley that hits all of the right notes for an American IPA. And while I’ve had it from time to time, I never thought to purchase it in bulk until it showed up on my package store shelves in a lovely sixer of craft cans earlier this year. Once the temps started rising and IPAs became pretty much all I drank, I began buying the Hop Ottins with gusto. They’re perfect summer beers. An aggressive, bracing hop bite with just enough malt backbone for balance, and a very smooth, easy-drinking finish. It’s refreshing, reasonably priced for purchase by the case, and tastes just as good out of the can as it does poured into a proper glass. ‘Twas the beer of summer ’11 in the McHops household and I’m sure Hop Ottin’ and I will be meeting again when next the temps climb to the triple digits (ie: Today). As for weirdest summer seasonal, I’ve had a few pints of the Moylan’s Orange and Black Congrats Ale (brewed in honor of the SF Giants WS win last year) and I’m still not sure what to think of it. It’s a decent enough American Black Ale, but it’s brewed with orange zest which gives it the aroma of a witbier. Cognitive dissonance can sometimes be a good thing when it comes to beer (most American Black Ales surprise you with their hop bite when you’re expecting some stout-like sweetness), but in this case, I’m on the fence. Seems like a gimmick beer to me and I usually shy away from such creations. It’s not terrible, but definitely one of the odder concoctions I imbibed this summer. This is not to say that there aren’t plenty of beers I like on a hot summer day or drink throughout the summer, however. 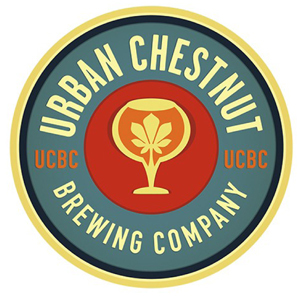 If you’re going to ask for one that really stood out in my mind over the course of the hot months though, the beer I would volunteer would be the Schnickelfritz, the house hefeweizen of the uber-promising new Urban Chestnut Brewing in St. Louis. The Schnickelfritz is one of those beers that is beguiling how well a familiar style is executed. Sure, you’ve probably had hefeweizens before, and you’ve probably had some bad ones before as well. A lot of them I find flat and rather boring, but not this brew. To take a sip of this beer is to drink something that tastes fundamentally alive and fresh, bursting with the banana and clove aromas and flavors that you would expect, along with a dollop of honeyed sweetness. Pour a gigantic weissbier glass full, kick your feet back and enjoy a summer day on the veranda—it’s that refreshing. Hell, It’s like the beer equivalent of a southern gentleman’s mint julep. I am an Alehead and as such, have little use for “Summer Seasonals” for the reasons outlined above. In fact, I comprehensively skimmed the 331 beers currently brewed with “summer” in their title and concluded that I liked a grand total of one*: the Anderson Valley Cerveza Crema Summer Solstice (and that only for the fact that they managed to brew a beer which tastes exactly like an Orange Creamsicle). *Haven’t had the Alesmith Yulesmith Summer, which no doubt is fantastic. 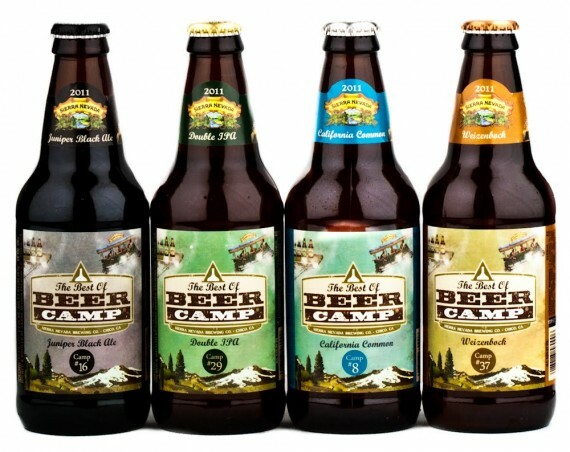 Still, all is not lost; I will remember the Summer of ‘11 for not one beer, but a sampler pack: the Sierra Nevada Best of Beer Camp. Beer Camp is the legendary Chico brewery’s ode to Charlie and the Chocolate Factory, with Ken Grossman reprising the role of Willie Wonka. SN fans send videos declaring their love for beers like Pale Ale, Big Foot Barleywine, and Torpedo IPA and the best submissions win a three day dream trip behind the scenes of the nation’s largest craft brewery. It’s not all frolicking amongst the hop vines, however… the culmination of Camp is the chance to design a beer that will actually be brewed by Sierra Nevada. Past selections have included a Stock Ale, a Baltic Porter, an Almond Marzen, and a wood-aged Scotch Lager. This summer they decided to release some of the most successful Beer Camp projects to the public, and the result was the finest sampler pack I’ve ever seen, being comprised of: a bracingly bitter Simcoe-based Ghidorah Double IPA, a decadent Juniper Black Ale, a bready Imperial California Common, and my surprise beer of the season, a Weizenbock that made me question my current Wheat Ale orientation. Hazy with yeast and sporting a bountiful head, this Imperial Hefeweizen is a nose-and-face full of honey sweetness, peppery clove, and banana esters, that somehow finishes dry and refreshing. I didn’t expect to like this one, but the Best of Beer Camp Weizenbock from Sierra Nevada makes it easy to admit it when you’re wrong. But now it’s Fall, or close enough at least. Where my stouts at? It pains your Baron to witness such anti-summer skepticism on these hallowed pages. Saccharine at worst, frequently one-note at best, they are, nevertheless, the subject of my annual and heartfelt admiration. They are, after all, consumed during summertime when days are long, moods soar, and sleeves (and skirts) are short. For a brief, three-month window they taste, invariably, of blue skies, barbecue, and, dare to dream, the occasional quiet Friday afternoon. Yet there are notable standouts worth highlighting. 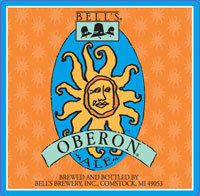 Bells Oberon, a nice, floral American Pale Wheat ale with crisp citrus notes, earned top nods at summer cookouts. Victory’s Summer Love, a solid American Blonde, was as thirst-quenching a beer as I’ve had in years (and the label is spectacular – see homage to summer, supra). American Darling, Pretty Things’ surprisingly tasty pale lager, was back this summer too – a perfect example of a style that I tend to ignore. And Berkshire Czech Pilsner from Berkshire Brewing proved itself an indispensable companion on even the stickiest of afternoons spent atop the manor roof deck. More disappointing offerings included Sixpoint’s The Crisp, which, despite a fair measure of blogosphere love, reminded me of nothing more than Schlitz poured over Sweet ‘n Low. Pemi Pale Ale from Woodstock Inn Brewery was similarly disappointing – a watery, flavorless concoction and far cry from the brewery’s superior offerings. But the lowest marks of the summer are duly awarded to Leinenkugel’s Summer Shandy – a shockingly cloying lemonade/beer hybrid that made Mike’s seem well-conceived. We shall speak of it no more. And so, as the days grow short and the sky transforms to a haze of colorless oblivion, I shall toast once more to fond memories of crisp brews and the season that brought them or, in the cases of non-seasonals, simply warranted their consumption. Then I shall venture into the cellar once more to dust off old bottles of smoky, dark goodness, and prepare for the coming frost. Well, given I was in the Philippines all summer, I kinda missed the boat on summer seasonals this year. I had two memorable ones, one before and one after my trip. 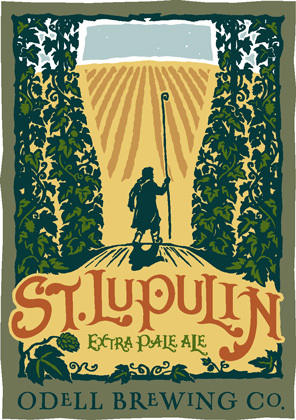 Odell St Lupin APA – From one of my favorite breweries. A solid 6.5% ABV pale ale that is easy to drink with a nice floral aroma. What else could you ask for? 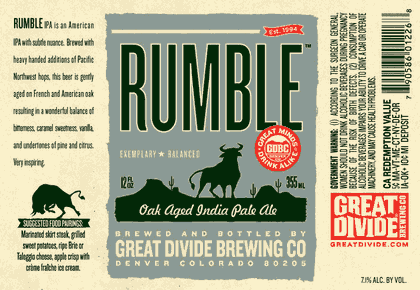 Great Divide Rumble – A mass produced oak-aged IPA I don’t have to sell a kidney for. About time! Hordeum beat me to my choice with the last word before my wrap up! I’ve also been enjoying Great Divide’s Rumble this summer. I generally share the Aleheads’ lack of excitement about summer seasonals, but this one’s a winner. I’m so unused to a standard IPA being oak-aged that it caught me a bit by surprise the first time I sampled it, but it definitely ended up being one of my favorite new beers I tried this summer. And, like many others, I also had a chance to try my first AleSmith YuleSmith (summer) this year, and it’s just a damn good DIPA. Snag one if you can find it. I hope you all enjoyed summer as much as I! Posted in WTF.Tagged AleSmith, Anderson Valley, Beerford's Conundra, Bell's, Berkshire, Craft Beer, Dale's Pale Ale, Great Divide Brewing, Leinenkugel, Moylan's, Odell, Pemi, Sierra Nevada Beer Camp, Sixpoint, summer seasonals, urban chestnut brewing, Victory. Hey Barley, Hop Ottin’ is available in cans now also, which is a plus. I never thought to purchase it in bulk until it showed up on my package store shelves in a lovely sixer of craft cans earlier this year. Though in your defense, my responses are generally so long and pedantic that even I tend to skim them.